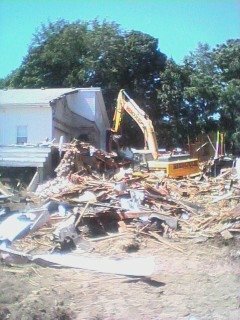 July 15, 2008 -- Today starts the official process of bringing down the old church building. 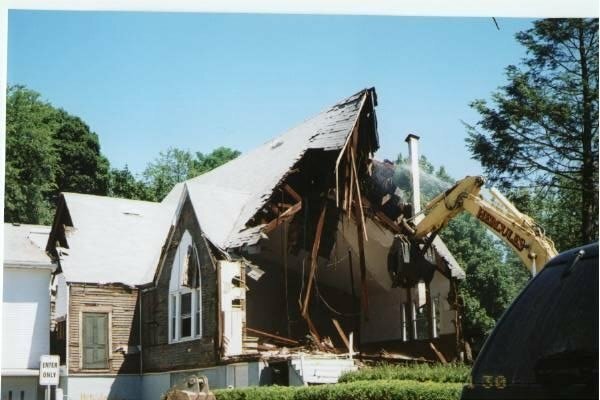 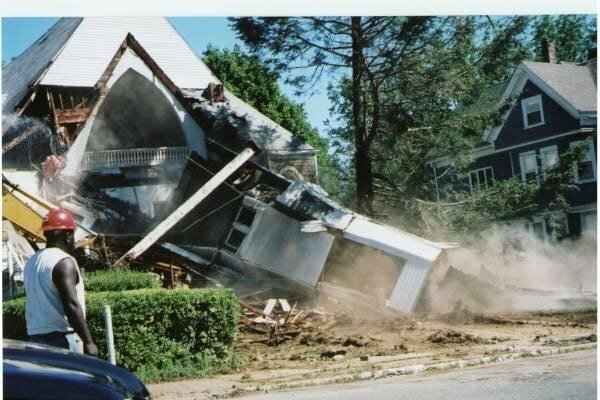 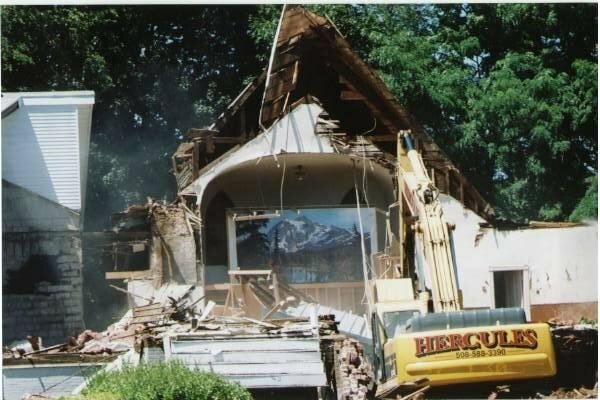 North Baptist Church has contracted Hercules Wrecking Company of Brockton, MA to provide the demolition services. 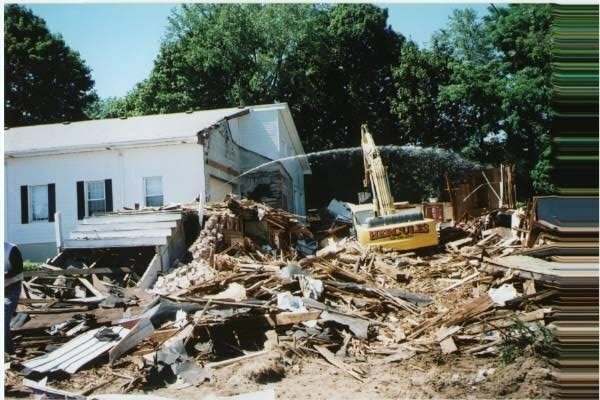 Many artifacts were salvaged from the building and several items are being reused in the new church auditorium which is now located in the basement of the new building.